Ashley County Publishing Co., Inc. Housed in an 11,000 sq, ft. print facillity, Ashley County's ten unit Goss and DGM web press consists of a four-high color stack and six floor units, paired with 2 Jardis splicers, capable of meeting all your offset web printing needs. 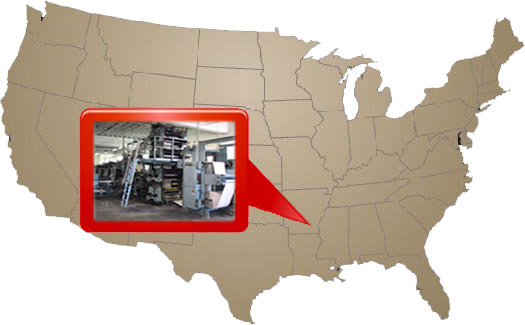 Our experienced pressmen are well versed in both publication and circular printing.